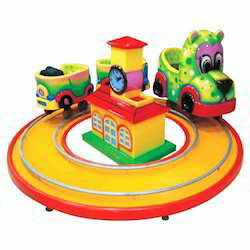 Leading Manufacturer of mall train, roman train, fun train, battery operated baby train, road train and caterpillar train from Ahmedabad. Our wide variety of Roman Train is manufactured using optimum quality raw material that is obtained from reliable vendors. The speed of these trains attract young children while at the same time ensures safety. These consist of one engine and two-three bogies which can be availed by our clients in varied colors, shapes and designs at affordable prices. 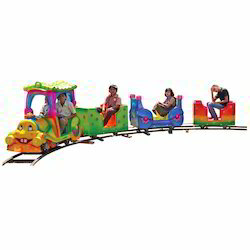 We are one of the leading manufacturers and suppliers of high quality Fun Train. These games are developed and designed using finest quality raw materials. These raw materials are sourced from reliable vendors. These games are designed for young kids. The constant slow speed of these trains excites the tiny tots. These products are designed under the guidance of professionals, to ensure safety and comfort of kids. 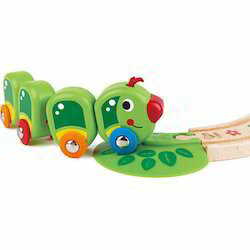 We are a coveted firm indulged in the process of offering to our customers a wide range of quality kids items and in this range we are offering Baby Train. 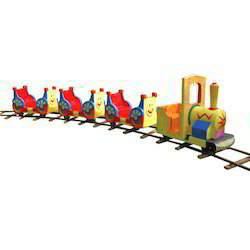 This train can easily accommodate a good number of kids and can be placed at spacious arenas. Operates with a coil, the train can be given a set time of one to four minute. We offer a diversified gamut of quality approved Road Train. These games are designed for young kids. The constant slow speed of these trains excites the tiny tots. We offer these road trains in several customized options according to our customer’s request. These road trains are check on several parameters of quality in order to ensure their flawlessness from our side. Most of the Govt. Parks, Public parks and international school adopt this type of toy trains for their kids. 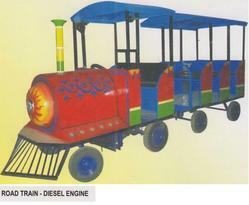 The amusement rides designed by us are operating in various amusement parks across india and abroad which includes family rides, kiddy rides, and one of them is Caterpillar Train which shows in the picture. We are based in Ahmedabad, Gujarat.